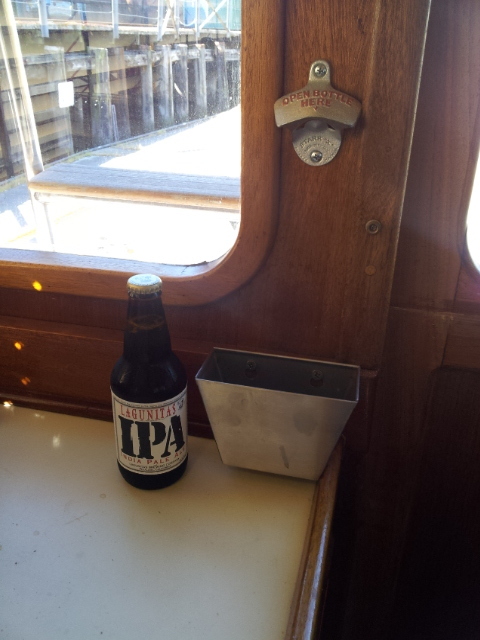 Recommend transit at or near high tide. D Street bridge opening, providing access to downtown Petaluma. Give at least four hours advance notice. 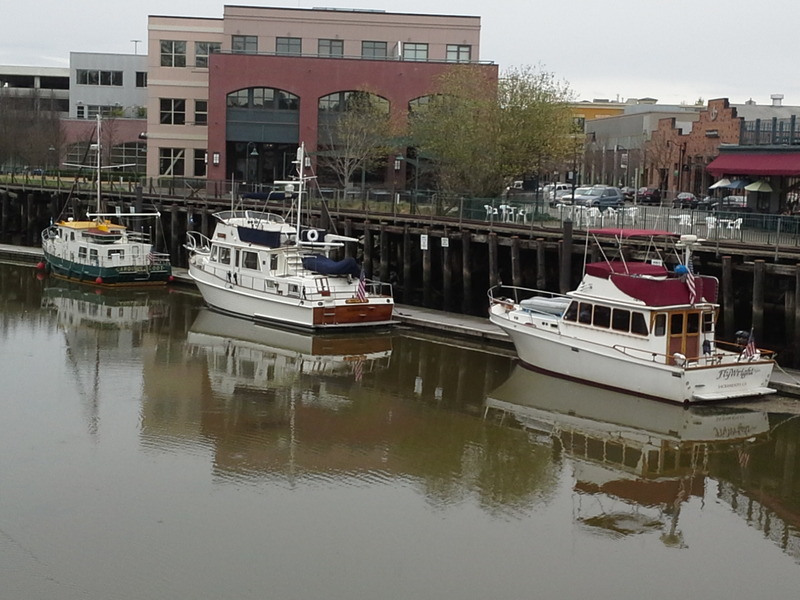 CC, Mahalo Moi, and FlyWright docked in the Petaluma turning basin, "inches" away from the historic downtown. Passing under D Street bridge. Meeting barge traffic immediately west of Lakeville. A great place to celebrate St. Patrick's Day!! A gift from my daughter and a new addition to the boat...just in time for St. Patrick's Day. It passed the test with flying colors!! 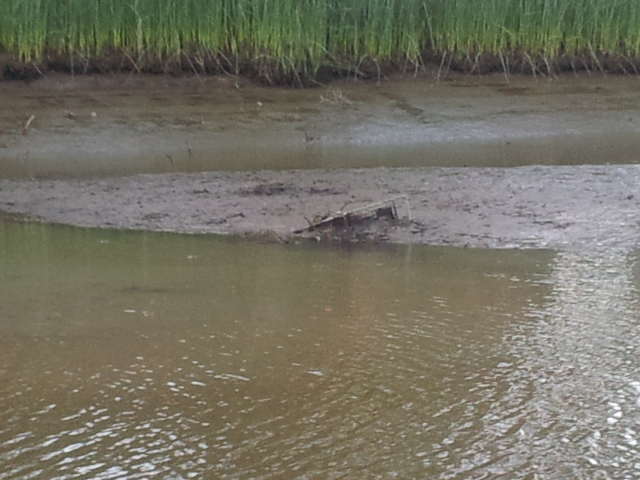 The infamous shopping cart protruding from the turning basin shoal at negative tide. Each year, it sinks a little further into the mud. Did you end up watching Captain Ron? Yes, Giggitoni bought a copy for the trip that we all watched Monday night! It was fun. I learned a few new docking techniques that should come in handy in for the Pittsburg TF Rendezvous later this month! Yes, Captain Ron was entertaining (I'm being gracious) but inane. After viewing, Giggitoni offered to sell the movie for $2.50, half the cost of purchase including shipping/handling. No takers among our crews, apparently not wanting a second viewing, ever. 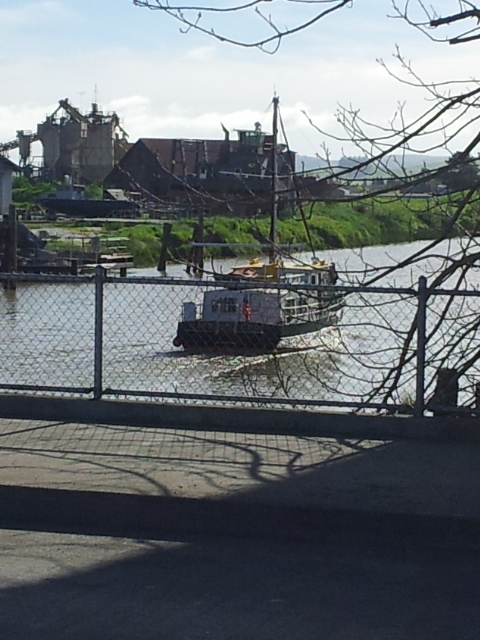 You'd think the couple-hundred-feet-away Petaluma Yacht Club would have removed the cart by now, if not the city. A couple more years and the cart will disappear.